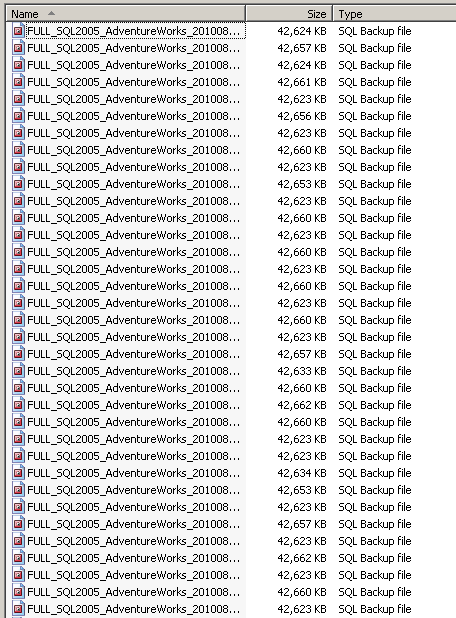 The LATEST_FULL option is all you need to restore from the latest full backup set for the AdventureWorks database in the 'e:\backups\' folder. The usefulness of this becomes more apparent when you want to restore the database on a reporting or secondary SQL Server instance. Instead of writing reams of code to determine the latest backup set, or setting up linked servers to the source SQL Server instance to query the backup history tables, you simply use the LATEST_FULL option and SQL Backup does the rest. And why stop there? There is also a LATEST_DIFF option, which will identify and restore the latest differential backup set for you automatically.